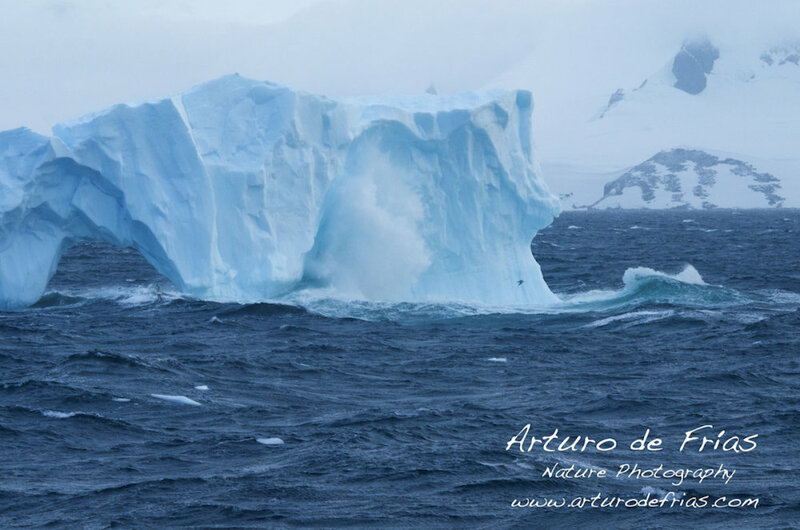 A large blue iceberg is beaten by huge waves during a storm. It is almost midnight, but there is still some daylight. A couple of seabirds flying close by give an idea of the size of the icebergs. Un gran iceberg azul golpeado por las olas durante una tormenta. Es casi medianoche, pero aun hay luz. Unas aves marinas volando cerca dan una idea del tamaño del iceberg.